X-Rays are defined as a weightless package of pure energy (Photon) that are without electrical charge and that travel in waves along a straight line with a specific frequency and speed. X-rays were first produced by Sir William Morgan unknowingly while conducting one of his experiments. The first dentist to practice radiography in Dentistry was by Dr. C. Edmund Kells, who used it in a Root Canal procedure on May 10, 1899. X-Rays are pure energy having no mass and they transfer energy from one place to another in the form of photons. X-Rays do not have smell or sound and cannot be visible to the eye although they have the same wavelength as visible light. They are Invisible to Eye. They Produce an Magnetic Field at right angles to the electric field and path of propagation. Penetration: X-Rays can penetrate liquids, solids and gases. The degree of penetration depends on Quality, intensity and wavelength of Xyray beam. Absorption: X-Rays are absorbed by matter, the absorption depends on the anatomic structure of the matter and the wavelength of the xray beam. Fluorescence: when X-Rays fall upon certain materials visible light will be emitted called fluorescence. X-Rays bring about chemical changes in solution because X-Rays produce highly active radical OH ions in water, which react with the solutes. The excitation property of X-Rays is used in the treatment of malignant lesions. The surface of the photographic paper which is exposed to X-Rays will be developed and found blackened. The blackening is known as film density. The dental community needs to start placing patient care and what is best for the patient as their priority. Furthermore, dentists that have knowledge of wrong-doing by other dental clinicians must start speaking up and protecting the patient! Dental boards and dental associations need to start protecting the patient not themselves. We are talking about peoples health and lives! Good insight about X-ray propeties. I like this one. 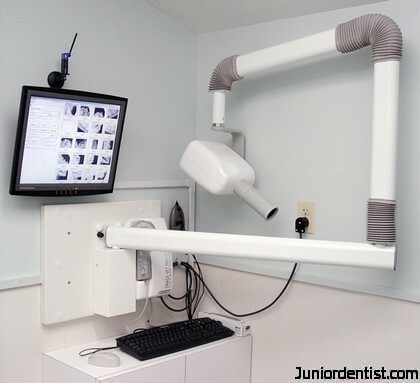 X-rays can help the dentist to see in between your teeth or under the edge of your fillings. Finding and treating dental problems at an early stage can save both time and money. teeth are most important our life. I love to find out about X rays and search more information about it. X-rays can help the dentist to see in between your teeth or under the edge of your fillings. X-Rays are electromagnetic radiations having a wavelength between 10A to 0.01A. Great post! :) Great site actually! sir mere teeth m ek kala daag hai use kaise remove kare kuch upay batao sir plese. The balck dot which you are mentioning can be caries which is your tooth being dissolved because of the acids produced by microorganisms, you should visit a dentist and get the caries part removed and filling done to prevent further spread. Thanks for sharing all of this x-ray information! I have been assigned a project on determining the function and properties of x-rays, but I don’t know too much. It is amazing that x-rays can change the color of substances, but it cannot be heard, seen or smelt. You would think something so powerful would be more noticeable! It would be great if you can mention what are things missing in this post which made it not really helpful to you…. Thanks for this helpful post my friend. May u add the differents bt x_ray and ultrasound and CT and MRI ? Thank’s alot because it’s very beneficial especialy for us the student. What is the ideal x-ray wavelength for dental use? What is the best kilovolt and miliamper calibration? The range used for dental radiography is approximately 0.01 to 0.05 nm, this is approximately 1/10,000th of visible light. Due to the short wavelengths which mean higher energy and frequency, the Kilovolts for Dental X-rays is usually 100keV (0.05 nn). the milliampere calibration changes depending on the type of X-ray used for dental radiography and also the type of X-ray machine used.